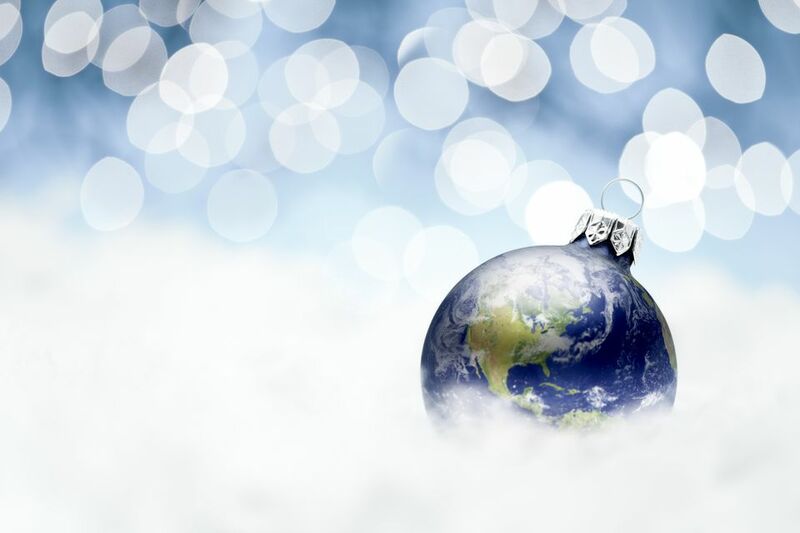 Christmas is the most wonderful time of the year—well, maybe not according to environmentalists. Along with love and magic, the holiday season often comes with eco-unfriendly decor, consumerism, and lots of trash. Let’s look at some ways the holiday season negatively impacts the environment and discuss how you can have a green Christmas this year. Paper snowflakes and ornaments and tinsel, oh my! During the Christmas season, there’s no shortage of disposable decorations. Most stores ramp up their holiday marketing ahead of Christmas, just begging customers to indulge in the latest and greatest holiday-themed items to bring holiday cheer into their homes. Many of these items aren’t made to last, meaning only a year or two on your tree or walls before being tossed in the trash. If your decoration isn’t compostable or recyclable (which includes almost all plastic items), it will head straight to the landfill to pollute the planet. From there, its components can leach into and contaminate the soil or make its way into the environment, negatively affecting wildlife. When purchasing your Christmas decorations this year, think about how long your new item will last. Stick to decorations that are not only adorable, but reusable. If you decide not to reuse an item, consider donating it, not trashing it. The term “food miles” refers to the distance your food must travel to reach your plate. The higher the food miles, the larger the carbon footprint. Food that travels long distances means more fossil fuel-burning trucks, packaging, and sometimes chemicals to keep it looking fresh. By contrast, eating local cuts these environmental concerns significantly. Plus, you’ll be supporting local businesses and farmers this Christmas. Want to up the ante? Choose local foods that are certified organic. That way, you’re ensuring the producer you got your food from avoids environmentally harmful pesticides. Whether you’re traveling by plane, train, or automobile, you’re burning fossil fuels. Of all the transportation methods, flying is the least eco-friendly. According to the EPA, a round-trip flight across the U.S. generates about 20 percent of the greenhouse gases that your car emits over an entire year. Opt to stay home this holiday season to save on energy and fuel consumption. If you can’t avoid traveling, consider purchasing carbon offsets to soften the environmental blow. Are gifts really gifts without wrapping? That might be up for debate, but one thing isn’t—wrapping paper creates a lot of waste. Many times, wrapping paper is used once only to be torn apart and tossed in the trash. An easy way to reduce waste and green your Christmas celebrations is to use reused or reusable gift wrap. Using old newspaper is an easy way to accomplish this. Or you can impress your friends and family by wrapping their gifts in the beautiful fabric wrapping method, furoshiki. As the temperatures decline, we tend to reach for the thermostat. Environmentalists will urge you to resist that temptation. According to the EPA, the energy used in the average house is responsible for twice as many greenhouse gas emissions as the average car. You can reduce the greenhouse gas emissions that contribute to global warming and shrink your personal carbon footprint by using less energy at home. Because heating and cooling account for a huge chunk of home energy use, resisting the urge to adjust the dial will help you reduce your home energy use significantly. When the temperatures dip below your comfort zone, reach for a warm blanket instead of turning up the heat. Follow these steps to save even more energy at home. Food, plastics, water—you name it, Americans waste it. If not disposed of properly, our waste finds its way into ecologically-damaging landfills and even the environment itself. Both land and ocean are full of pollution, so reducing waste is crucial. You can reduce your solid waste by buying less things (experience gifts for the win), shopping local and sticking to reusable products. Composting your organic matter, like coffee grounds and leftover food, can also help you reduce your holiday waste. When you toss your organic waste into the trash bin, it ends up in a landfill where it decomposes and produces methane, a greenhouse gas 26 times more potent than carbon dioxide. If you haven’t already, invest in a compost bin.